Professionally I'm a SAP HR/Payroll expert with Workday experience. This generally means I sit at a desk all day in a boring office, trying hard not to look out of the window or think too hard about my next adventure (ha! just kidding boss - if you are reading this!). I am happily married and very proud of my two grown up kids. My son (who likes cars) works for Mercedes AMG High Performance Powertrains - the people behind Lewis Hamilton and Valtteri Boatas. My daughter is currently studying at Cambridge Uni. 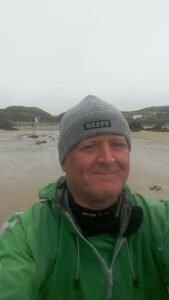 Outside of the office, as well as being a super hero, I'm a Sea Kayak Leader working towards my Advanced Sea Kayak leadership award. I'm also a bit of a photographer and one hell of a bad guitarist. I play both Classical and Electric Guitar, although I am told it is sometimes hard to work out which is which! When I am not at sea, I live near Nottingham, which is obviously nowhere near the sea - the sea being about three hours away in any direction. This is kind of useful in a weird way as it means you can get to any coast to paddle and are not restricted to one particular area. I guess that is why Nottingham is also home to two top sea kayak manufacturers: Valley and P&H. The downside to living near Nottingham is the three plus hour drive home on a Sunday night, getting home late, sorting kit out and being fresh for work on Monday morning! Nottingham does however have a White Water course at the oddly named National Watersports Centre. Most people, even Nottingham folk are surprised to find Nottingham is the National centre for water-sports in England. The White Water Course, aka "the concrete ditch" is where I use to regularly paddle in my playboat when not Sea Kayaking. One of the downsides to paddling the "Concrete Ditch" is that it is an off shoot from the River Trent and consequently the water quality is not always the best. Trent Belly is not uncommon for newbies paddling the Trent. I've recently had to stop paddling in the Trent for health reasons. If I paddle in rivers now it has to be "cleaner" rivers. I actually started kayaking when I was about 11 at the Riverside Centre in Oxford. At 15 I went to Scotland with my family for a holiday and took a bad swim at Grandtully on the River Tay. I didn't paddle again after this until I was in my early forties. This was following a scuba diving accident in the Caribbean, where I lost the hearing in my left ear. Having had the round window in my ear repaired on my return to the UK, I did regain some hearing in my left ear, but to this day it is mostly bass! 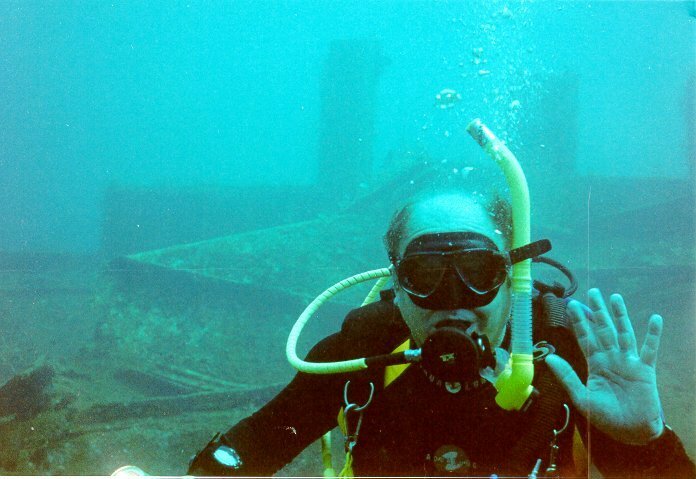 I didn't stop scuba diving immediately after the accident, as I loved scuba diving and also being in the water. It was only when my right ear popped on me one day whilst returning to the surface that I actually thought I was totally deaf. It wasn't until I heard the reassuring bubbles escaping from my regulator that I realised this was not the case. Four days later, I decided I couldn't take the risk of losing both ears and decided to quit scuba diving for good. After stopping Scuba Diving I did a bit of long distance cycling. Having been a fan of the Tour de France, I was always curious as to how far I could ride a bike. In 2002 I found out and gained Super Randonneur award, a long distance cycling association award. 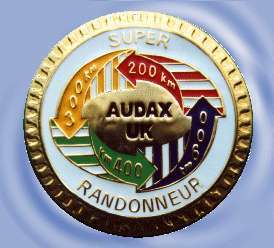 A Super Randonneur award is for when you have completed rides of 200km, 300km, 400km and 600km all in the same season. Not only did I complete multiple rides of these distances in 2002, I also was always in the top six riders coming home. At the time I was cycling to work 20 miles a day and running 4 miles most lunchtimes, which did tend to help a bit. Having ticked off cycling, I wanted to try something else. It suddenly dawned on me that there was a white water course in Nottingham and as it is only 10 miles away I should try kayaking again. I went out and bought a play-boat, got my 3 star and started becoming a regular at the course. I now have paddled many white water rivers here in the UK and abroad in both playboats and creek boats. Being restricted to weekend paddling was always problematic, as it would rain during the week and by the time we'd get to the river at the weekend, the river would be empty again. And that is not to mention some of the access issues you'd get. 2004 saw me get an 18th place in the Peak UK challenge series. It was paddling the River Moriston in Scotland that got me sea kayaking! The River Moriston is one of those rivers I have a love hate relationship with. When I was paddling well it was fantastic, when not it is an evil river waiting to punish you well and truly. Having dented a new boat, dislocated a finger and lost a paddle all on the River Moriston, I always felt a little trepidation driving up to the river. In 2011, the fear of impending doom started early, way, way before even getting to Scotland. So much so, that the night before we were due to paddle the river Moriston, I bottled out and booked a day sea kayaking with Sea Freedom in Oban. By the end of the day sea kayaking, it didn’t matter all the stick I got from my mates for not paddling the river, I was well and truly hooked on Sea Kayaking. Well that’s more or less my story. If you fancy hooking up for a paddle then please let me know.